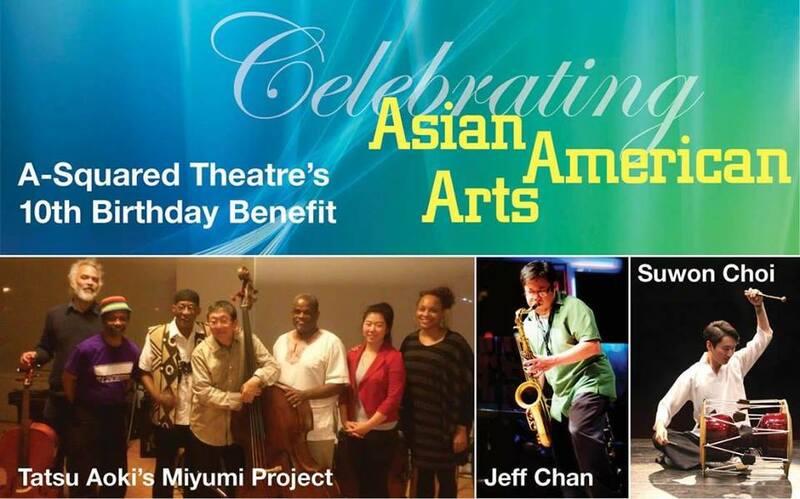 Come celebrate A-Squared Theatre’s 10th birthday with Tatsu Aoki’s Miyumi Project, saxophonist Jeff Chan, and Korean percussionist Suwan Choi in this fundraiser for A-Squared’s 2017 programming. A-Squared Theatre’s mission is to tell Asian American stories with many local Asian American artists to counter under-representation on Chicago stages and beyond. Saxophonist Jeff Chan collaborating with Suwan Choi, an international pungmul (traditional Korean drumming) artist. Come on out and support Asian American Theatre! Get your tickets with the promotional code “TAP-Chicago” for $15 off regular ticket price. Offer only good until 1/18!